After a reveler spat in a policewoman’s face on New Year’s Day 2016, she contracted tuberculosis and died seven months later. 35-year-old Arina Koltsova was arresting a man when he grew angry and spat into her face. She did not know he was carrying tuberculosis at the time. But soon enough she got sick. On July 25, 2016, Koltsova died from complications associated with tuberculosis. Two days later she was buried in Kiev. 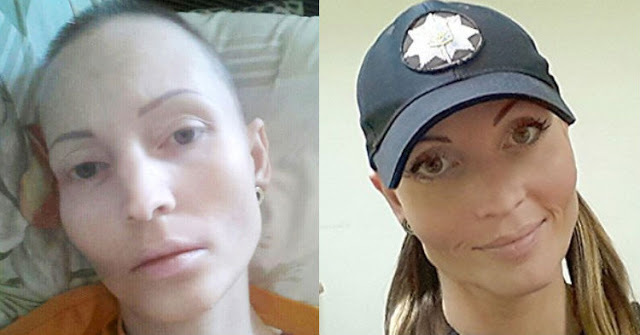 “This is an irreplaceable loss for the whole of Kiev police, fond memories of Arina will remain in our hearts forever,” Koltsova’s police department wrote on its social media page. If caught early, tuberculosis can be treated. The National Institute of Health says that it takes about six to 12 months of antibiotics to treat tuberculosis. Rare cases are drug resistant and are hard to treat. It is unclear if Koltsova’s case was resistant or simply caught too late for treatment to be effective. After her demise, locals came out in droves to share tributes for the “irreplaceable” woman who was very popular with the local community. She was well known in the Ukrainian capital because of her good looks and her hard-law mentality. It is unclear if the criminal will face charges for murder or manslaughter. But one thing is certain. Kiev is calling for such a charge as is the public on the internet. “Charge should be upgraded to murder,” Sonja Gatlin suggested. What do you think should become of the man who spat in her face? Please SHARE YOUR OPINION in the comments below now!